If you are hosting a giveaway please add your information to the widget below – just like a regular link party! 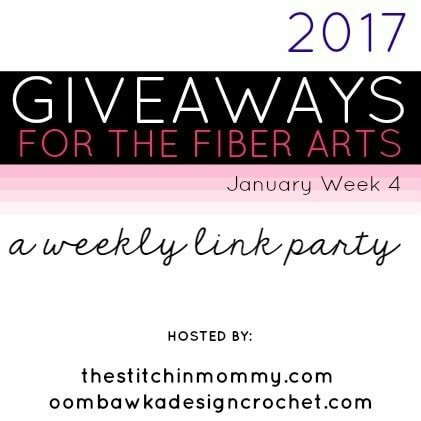 Remember to include your Giveaway it must be Fiber Arts Related – so yarn, threads or fabric related – books for fiber arts projects can be added too! Amy and I will occasionally include other interesting Giveaways you may wish to enter (for items other than Fiber Arts) which we have found online this week ? Like paper crafts…kitchen gadgets…and generally anything we love and think you will love too! If you have one of those you’d like us to add please leave us a comment below! 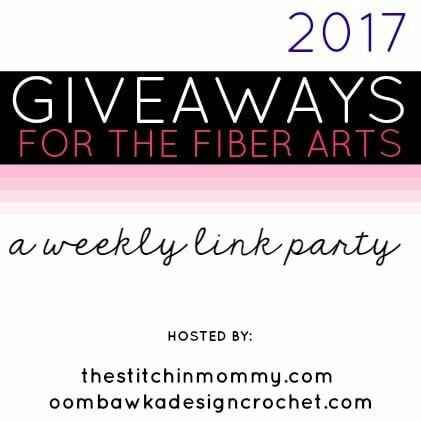 2017 Giveaways for the Fiber Arts! If you have a Yarn Giveaway you would like to add – remember YOU can add it to the widget above 🙂 Or leave the link in the comments for everyone to enjoy.